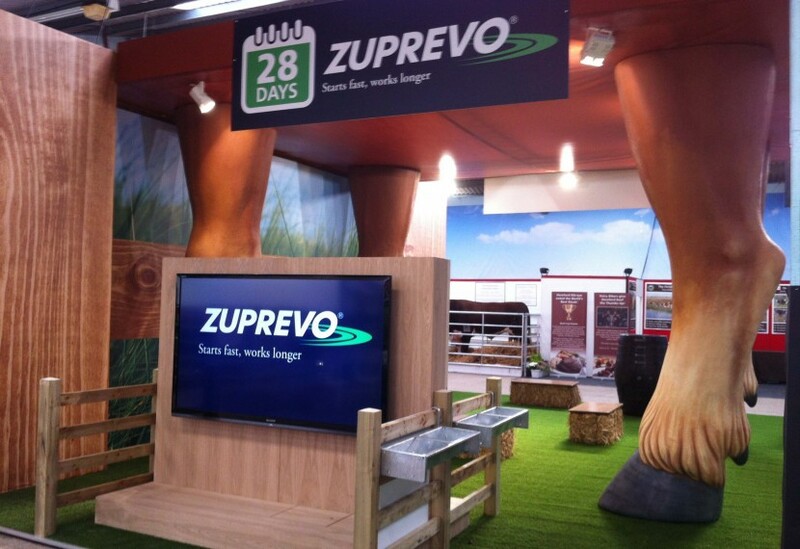 Working with Dave Watson, Creative Director at NB GROUP and alongside exhibition contractors, Henson Franklyn, we provided a set of four giant cow legs for NB GROUP’s design for MSD Animal Health’s stand at NBA Beef Expo 2013 in Malvern. 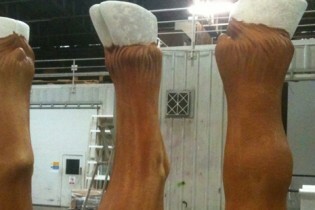 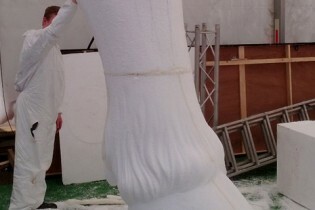 Standing at just under 4m, producing these Limousin style legs employed the traditional skills of our scenic artists as they hand-carved each one from polystyrene before applying a GRP hardcoat, idenden texture and paint finish. 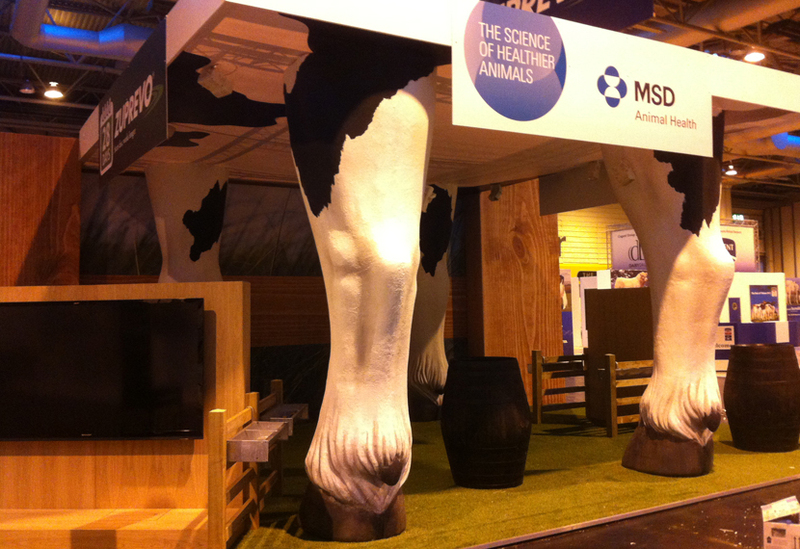 The legs were later returned to us and repainted as Friesian before being used for MSD Animal Health’s stand at a Dairy focused agricultural show.